Soffrito Pronto Knives provide precision with a touch of colour. The Soffritto Pronto Paring Knife 8cm features a razor sharp stainless steel blade for a superior chopping, cutting, slicing and dicing performance. The ergonomically designed anti slip grip handle features a green highlight for easy identification and a bit of fun. The Soffritto Pronto Paring Knife 8cm comes equipped with a safety shield case to guarantee secure storage when not in use. 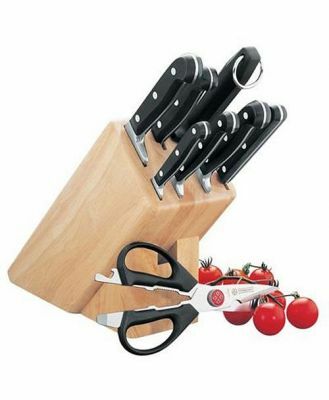 Team the Soffritto Pronto Paring Knife 8cm with other knives from the collection to suit all functions.